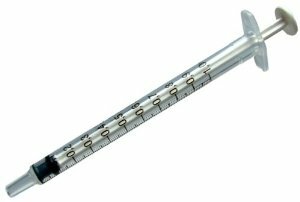 1 cc BD oral syringe with tip cap, clear. Used to accurately measure small doses of liquid medicine. 100/box, sold by the box.